I love everything about it. The smell is just so fresh. Such a shame I can't find it all the time in stores in Canada. Is it discontinued? same thing must have happened to my second favourite: Warm Vanilla Sugar!!??? Il a une excellente odeur douce et fraiche et ce laver les mains avec ce nettoyant en mousse est si délicat et plaisant. Laisse les mains douces et parfumés et nettoie très bien. Mon petit conseil serais de vous le procurer en rabais. Bath and body works soaps are great. They go on sale all the time. Both my wife and I enjoy the scents. I work in automotive and this product cleans my hands as well as heavy duty cleaners while not drying my hands out. So this one has a great scent when you really want a clean smell and are a little more sensitive to certain scents. 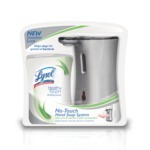 I bought this one and used it when guests came over and everyone was giving compliments about how good it smelt! I love the scent of this hand soap. I am a huge fan of Bath & Body Works products. 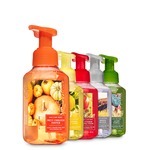 I love their foaming hand soaps for use in our kitchen and bathroom. They lather up very well and gets your hands super clean. This scent reminds me of fresh laundry hanging outside to dry in the sun. 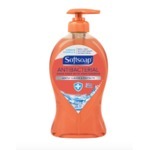 A great hand soap that cleans well and has an amazing fragrance! 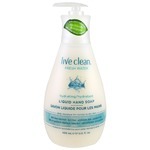 This is by far my favourite hand soap from Bath and Body Works. The consistency is perfect, the smell is absolutely lovely, and it always makes my hands feel smooth and clean. The only criticism I would have is that it seems to run out faster than the average soap, but that may be because I use it all the time! I don't know what's so relaxing about "Sea Island Cotton" (it actually smells like clean laundry) but it is the perfect calming and cleansing smell. I highly recommend it!